"Rule #1: You don't ask question about making baskets!" 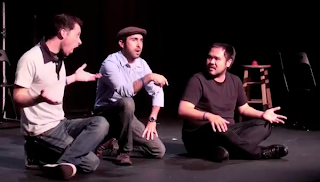 We were delighted to perform at the San Francisco Improv Festival in September! Here is one of our most hilarious games from that night.